Welcome to my first Fabric Friday post. 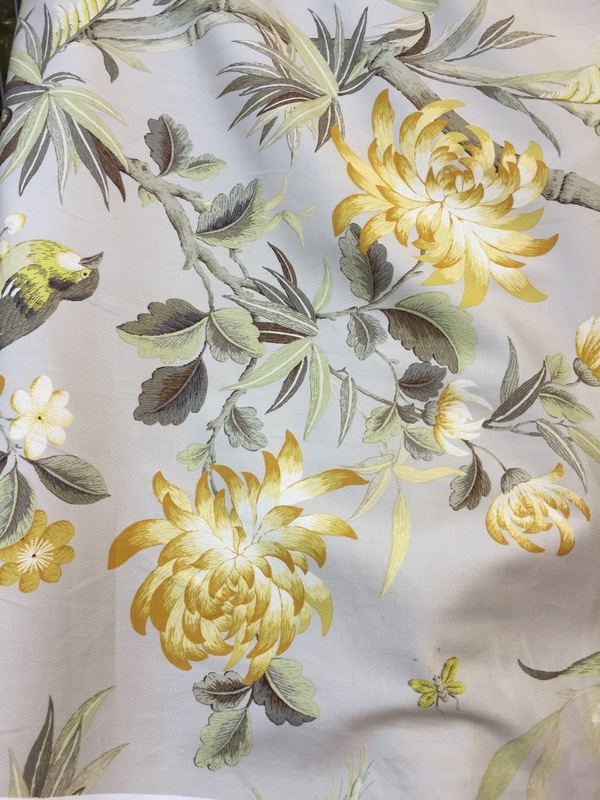 This is a relatively quick post featuring some adorable fabrics I spotted at a recent trip to my local fabric store. 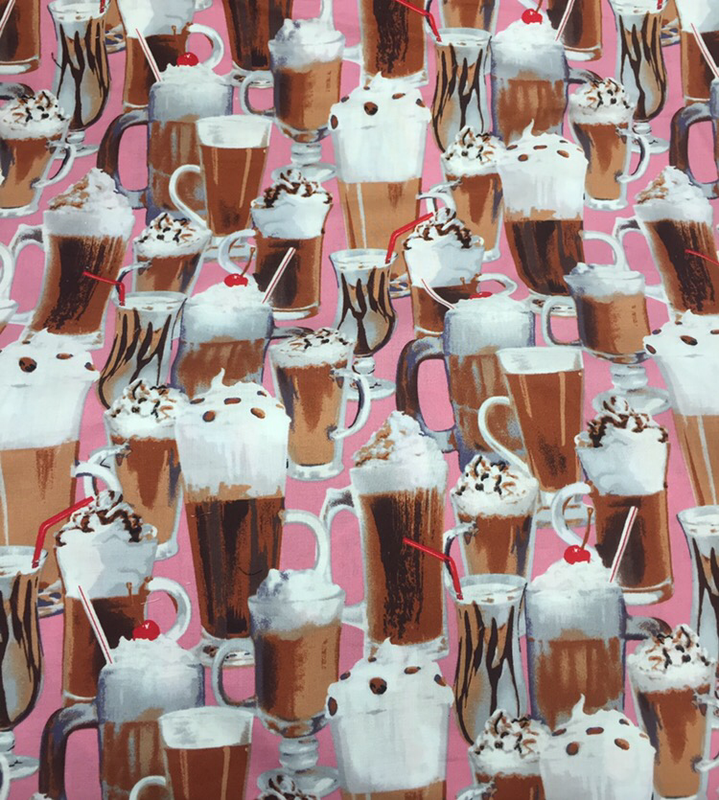 These adorable “food” fabrics are from the Picnic Prints line, and I am in love <3. This fabric is a soft cotton blend, and would be perfect for a little girls room. What little girl doesn’t love a root beer float? 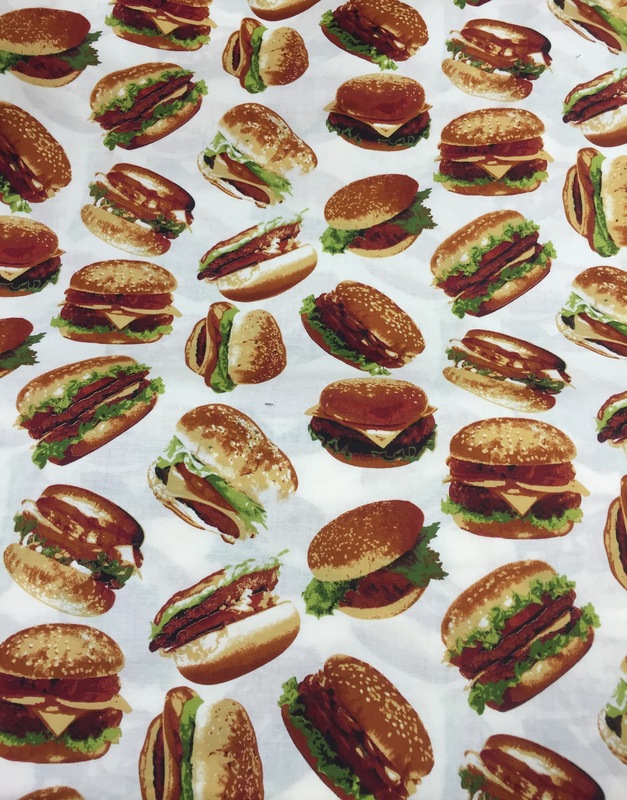 This pizza fabric would look positively perfect as cushions on chairs at a pizzaria in the summertime, when they open up the doors and set up tables and chairs outside. OMG!!!! Popsicles!!!! It’s so hard to choose a favourite, but for me, this one wins by a nose. 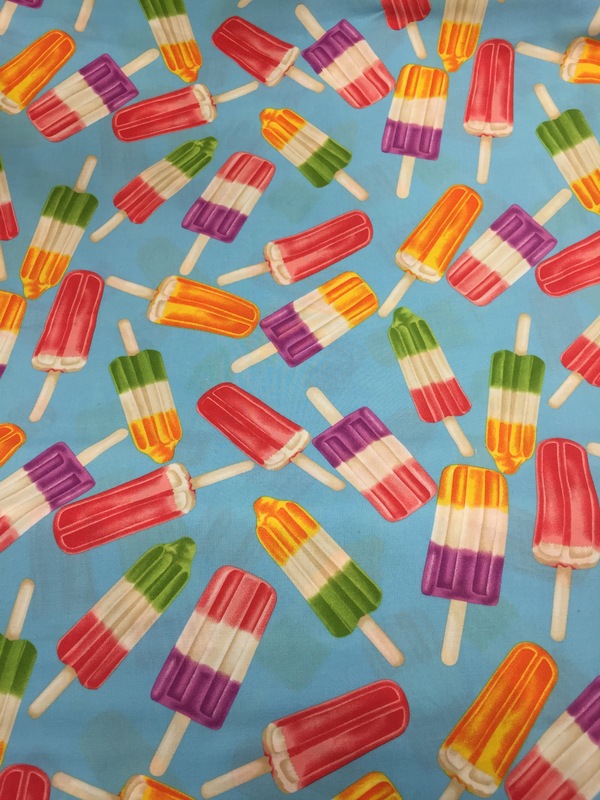 This colourful and fun fabric could be stretched over a canvas and used as artwork at a popsicle themed party. 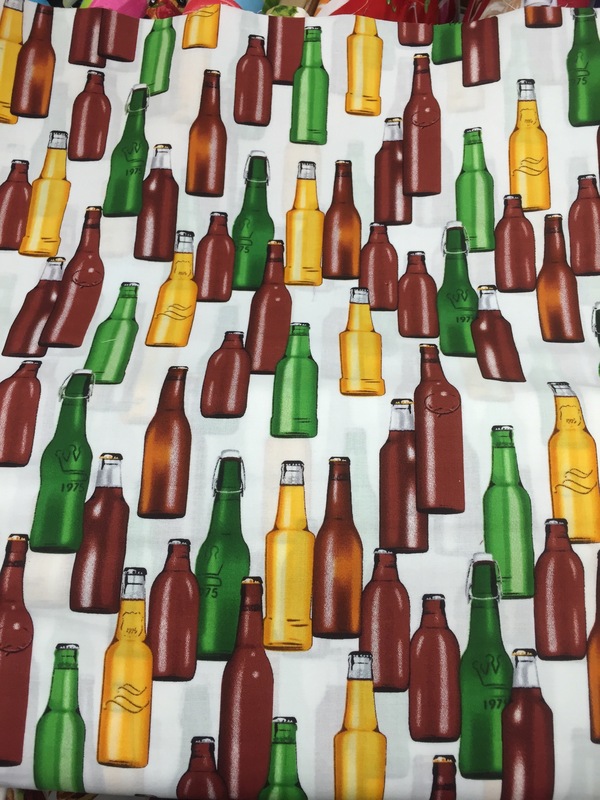 I picture this beer print on umbrellas on an outdoor patio at a pub, or even as napkins. 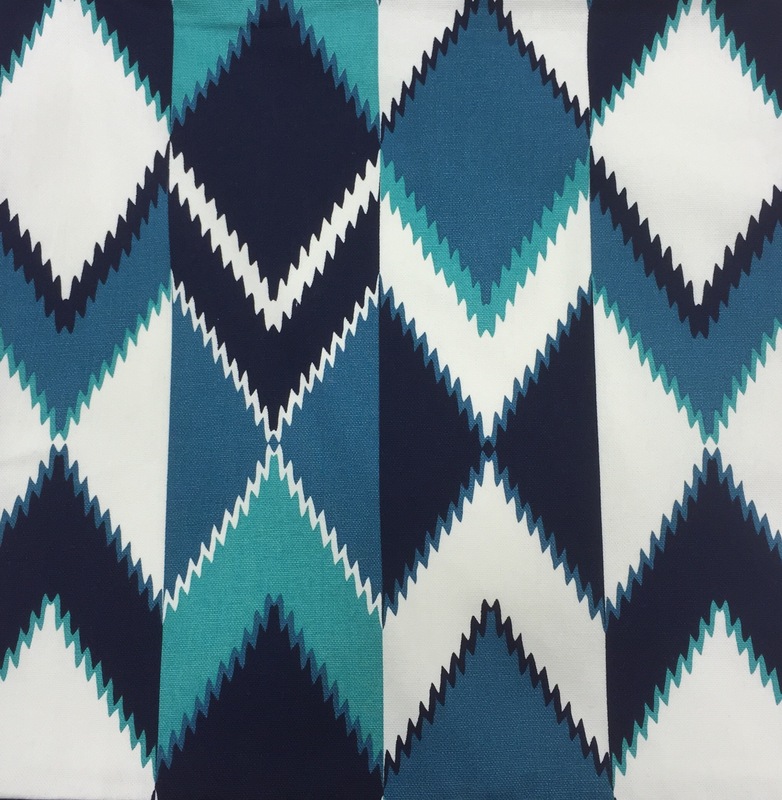 This one would be a PERFECT tablecloth when hosting family and friends for a bbq. These prints are absolutely one of the cutest things I’ve seen while browsing around the fabric store. It was so much fun. 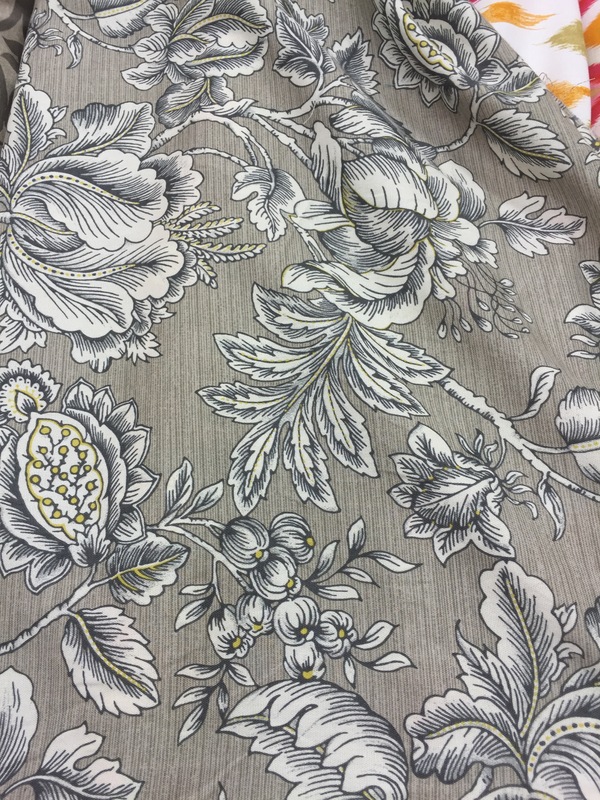 The real reason I went to check out some fabrics was for an upcoming project for our family’s cottage. We’re opting for a new (and bigger) bed at our cottage, and I’m going to be building another headboard!!!! Yay! This one is going to be larger than my daughter’s double sized headboard, featured here, so it’s going to be a challenge. Here are some of the fabrics I was drawn to for my cottage headboard project. I haven’t yet decided which one, but here are some I like so far. I like the birds and bugs in this one. It’s a soft grey with pretty tones of green and yellow. 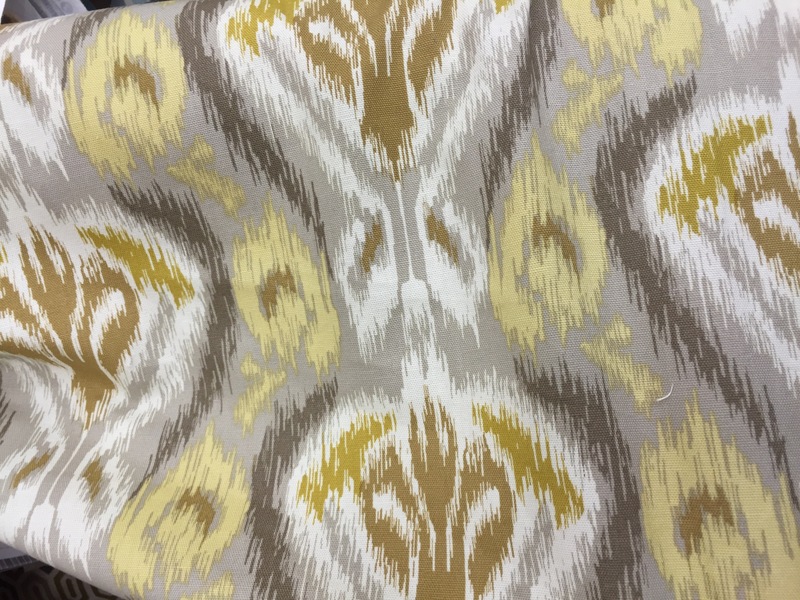 This ikat print screams “cottage” to me, and I love the tones of yellow. This vintage looking botanical print is also really cool. It would be a unique print to put on a headboard. What is more cottagey than navy and teal???? Heart this one too. There’s just too many choices…. This celery coloured damask is also fun. 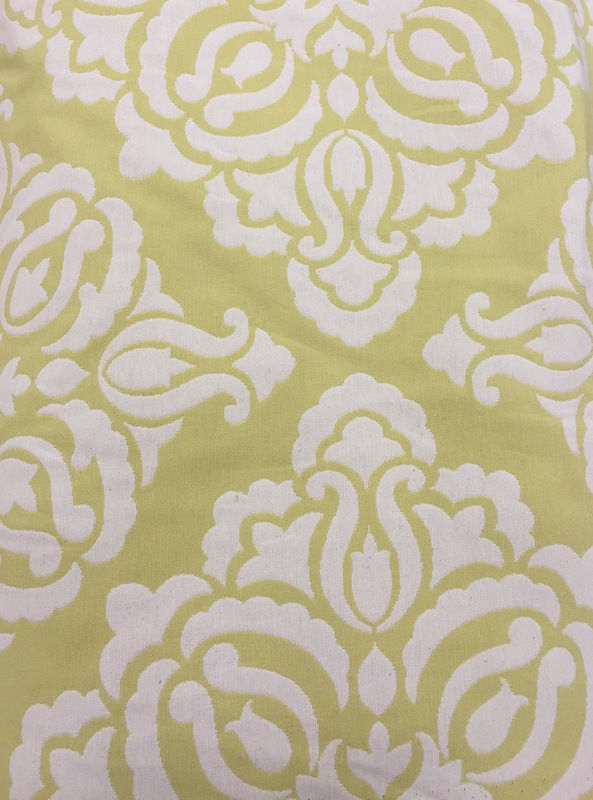 I loves me a purdy damask, and the celery green is an unexpected twist on this traditional print. I’d LOVE to hear from you, so let me know which one you like best. I love the pizza fabric! I’m trying to re-do my kitchen on a budget, using pizza theme. 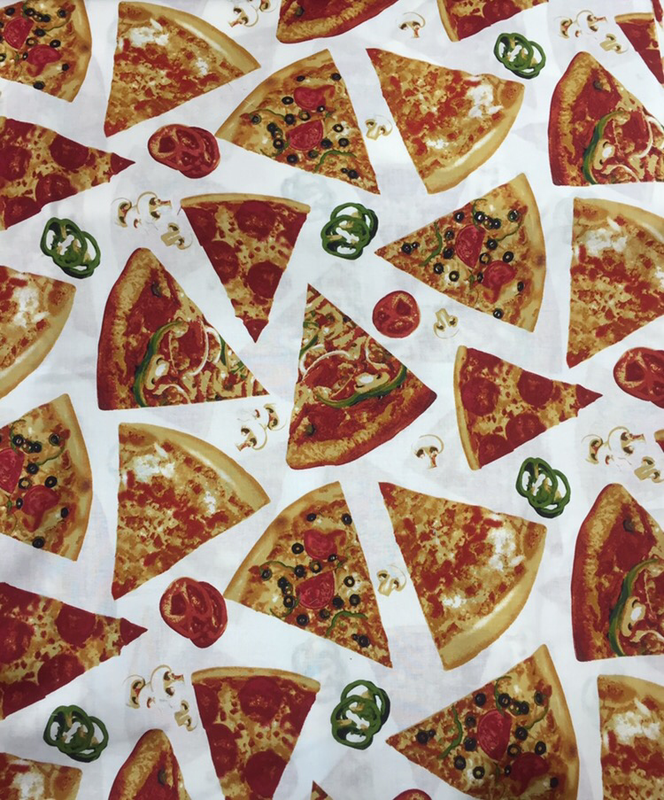 I have seen many pizza themed fabrics but the one in your blog is the nicest I’ve seen, with the white background. Where can I buy that fabric? Thanks so much for your comment Maureen. The pizza fabric is from the Picnic Prints line at Fabricland. Are you in Canada? Fabricland is the go-to fabric store in Canada.